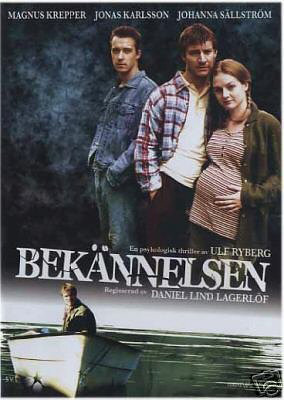 An exciting three-part psychological thriller that had 1.5 million viewers on SVT when it was originally broadcast. A young couple in the thirties, Nina and Thomas, are expecting a child. They live in a smaller community located by a lake outside the village. 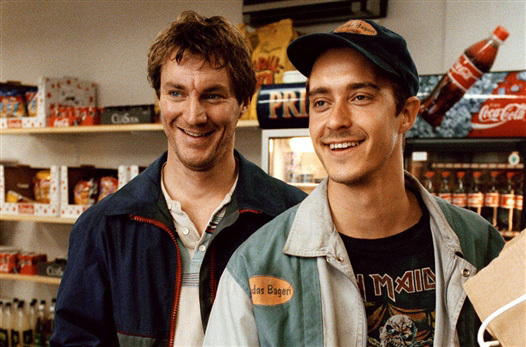 Thomas has a satisfying job at a petrol station and in his spare time, he restores their charming house together with Nina's brother Sigge. 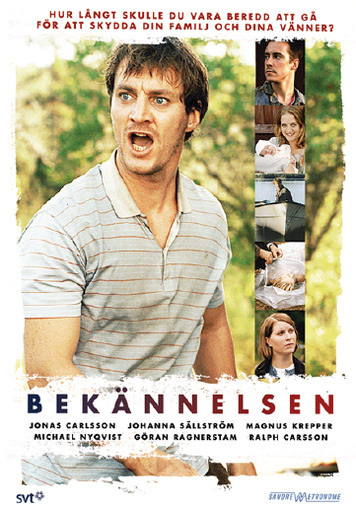 One day, an Estonian couple drives past the petrol station where Thomas works and asks for help finding a secluded location where they can stay with their caravan. A couple of days later, the calm is disturbed when the corpse of the two Estonian people are found. The body of the woman is found on the bottom of the lake. The community is drawn into a curse of lies, betrayal and suspicions that will change the lives of all involved. This isn't a traditional police story but rather a thriller that asks unpleasant questions: how can ordinary people get pulled into an extremely violent course of events and what affect does it have? At the 2002 Geneva International Film Festival, the film received the Grand Prix des Mini-Series.